Each suite contains adjoining sitting areas, terraced courtyards, and plunge pools. 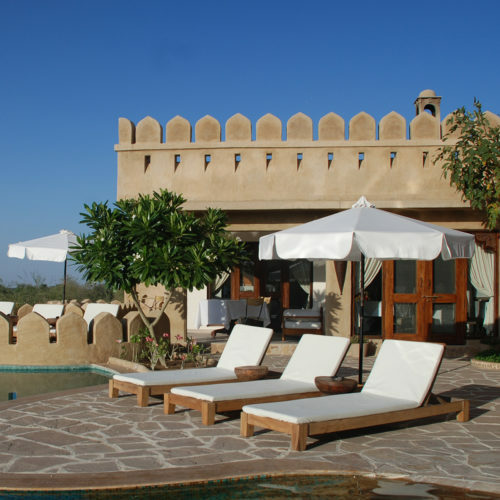 The curved infinity pool is surrounded a slate-tiled terrace replete with deep couches and cushioned loungers. This rural retreat offers a luxurious stop-over when traveling in the Jodhpur region. 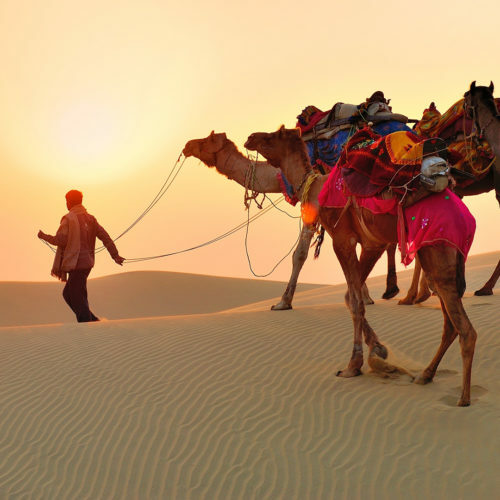 The owners are renowned horsemen and Mihir Garh is an ideal place for riding tours, camel safaris and village walks. 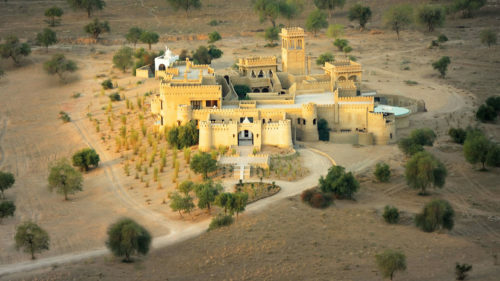 As a modern desert fort and the perfect place for a weary traveler to rest, the Mihir Garh made it into our top ten things to do in Jaisalmer, and was featured in our article Secrets of the Thar desert. 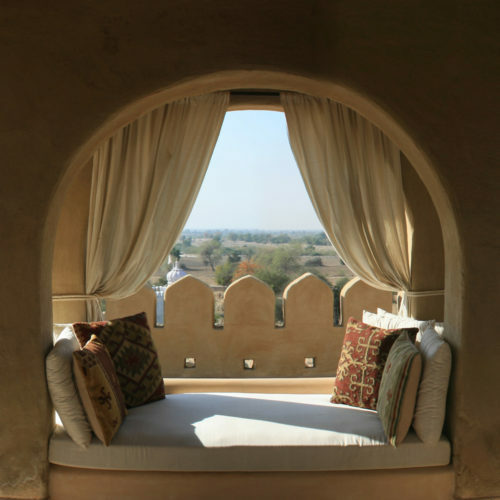 If considering a visit to the Mihir Garh you can find it in our Ride the Romantic Desert itinerary.